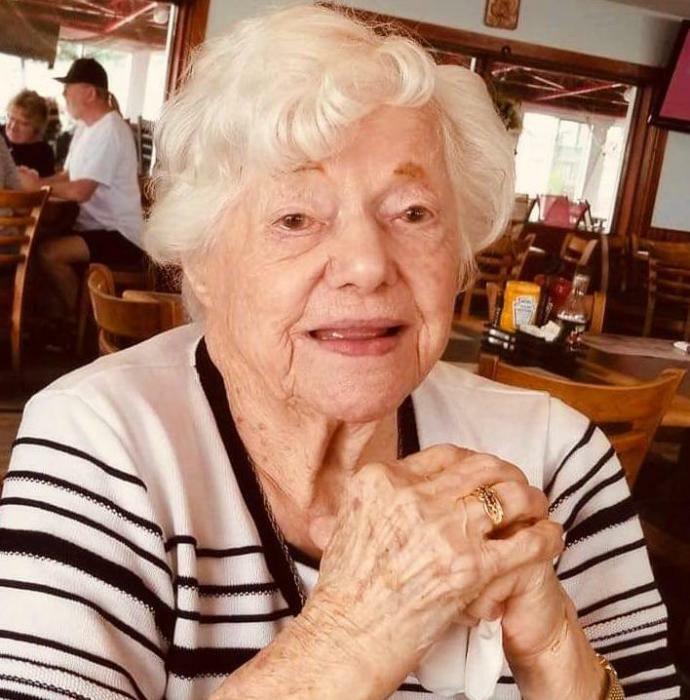 On April 4, 2019, Pierina C. McVicker, of Sparrows Point, beloved wife of the late Victor Gaylord McVicker, Sr.; devoted mother of Victor McVicker, Jr. & his wife Pam, Deborah Billingsley & her husband Everett, John McVicker & his wife Janice, James McVicker & his wife Sandra and David McVicker & his wife Karen; cherished grandmother of Michelle Shrader, David Billingsley, Corrie Klinefelter, Daniel Billingsley, Kelley Hopkins, James McVicker, Ashley Linz, Scott McVicker, Allison Napoli, Ryan McVicker & Jason McVicker; great grandmother of 18. A Funeral Service will be held at the Lodge Forest Church on Tuesday, April 9, 2019, at 10:00 A.M. Interment Bel Air Memorial Gardens. In lieu of flowers, contributions may be made to the Lodge Forest Church, 2715 Lodge Forest Drive, Edgemere, MD 21219.